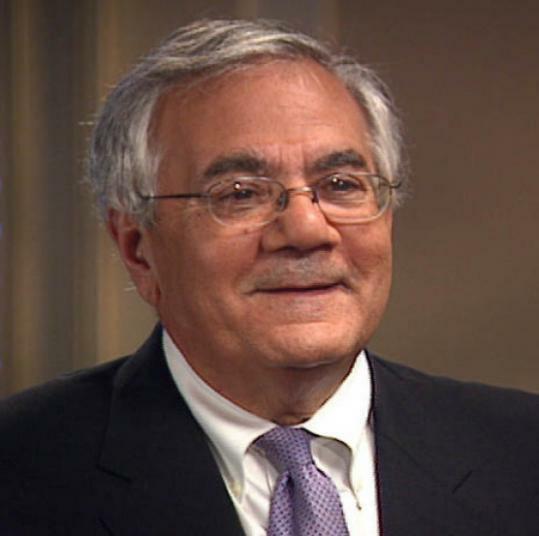 The first member of Congress voluntarily to come out as gay (1987), Barney Frank was born and raised in Bayonne, New Jersey, in a Jewish immigrant family. Politics always interested him and, early on, election to Congress was his dream. Educated at Harvard and a graduate of its law school, he was elected as a Democrat to the Massachusetts state assembly in 1972 from a Boston district, and served for eight years. In 1980, he ran for a seat in the House of Representatives and won, despite the Reagan landslide that year. A passionate liberal, Frank supported federal programs designed to help poor and working people and also championed reform of immigration law to make it easier for immigrants to achieve citizenship. Extremely outspoken, he once described Republican Newt Gingrich as “the meanest and most destructive political figure I have seen” and he sharply criticized Democratic President Bill Clinton a number of times. In 2010, Frank successfully co-sponsored legislation to regulate and reform the financial system. He married his long-time partner, James Ready, in 2012 and retired from Congress the following year, after 32 years of service.